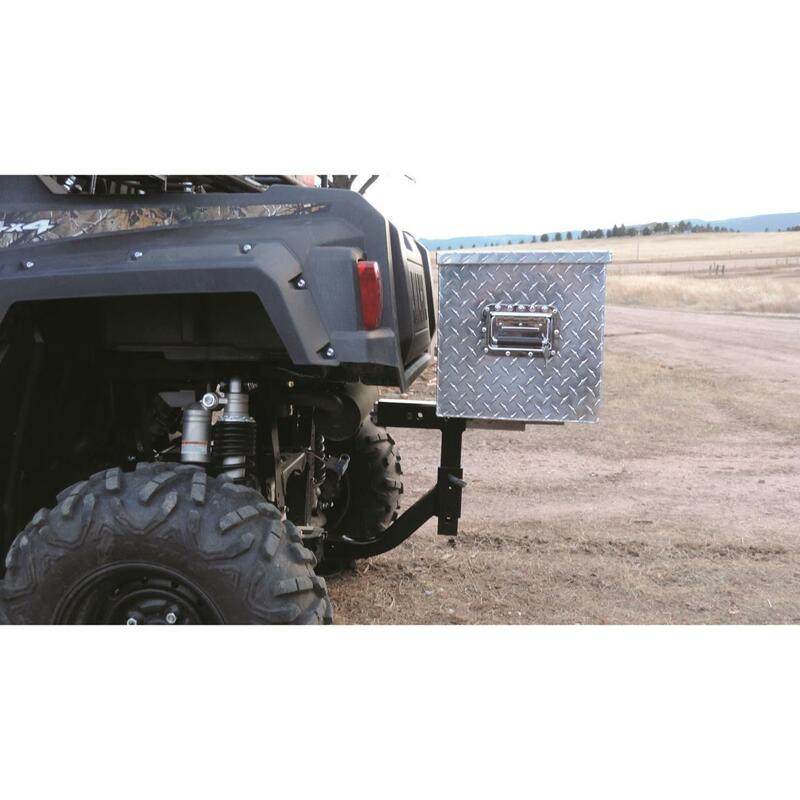 The patent-pending Hornet Outdoors Quick Adjust Receiver Hitch opens up a new world of towing and hauling possibilities for your ATV/UTV. 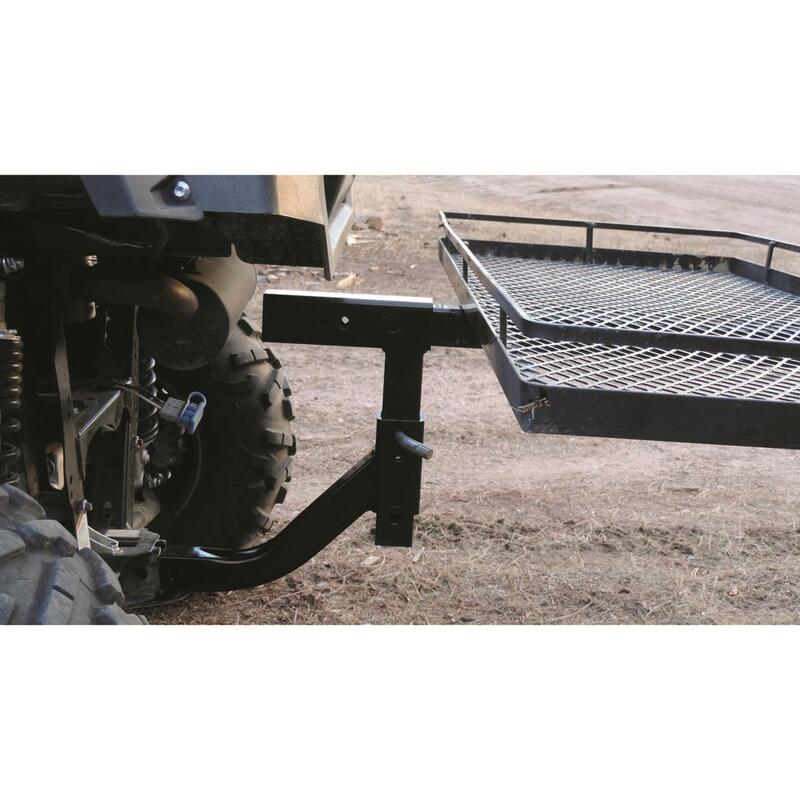 It can be adjusted both horizontally and vertically, so the load is away from exhaust and off the ground. 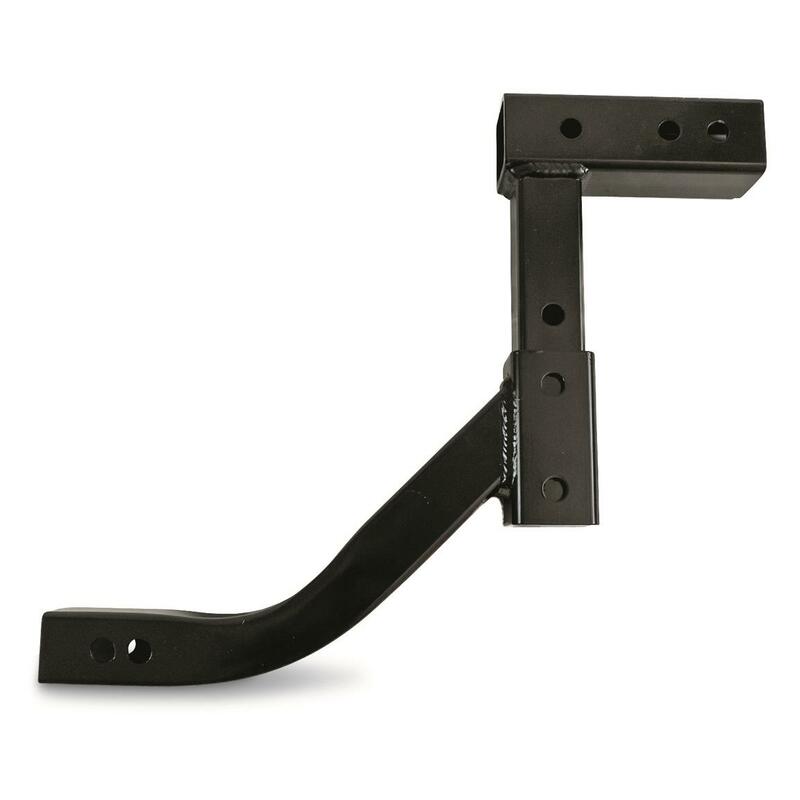 The curved bottom negates ground hang-ups in rough terrain, while the termination points are raised to make sure all the action at the receiver is up. 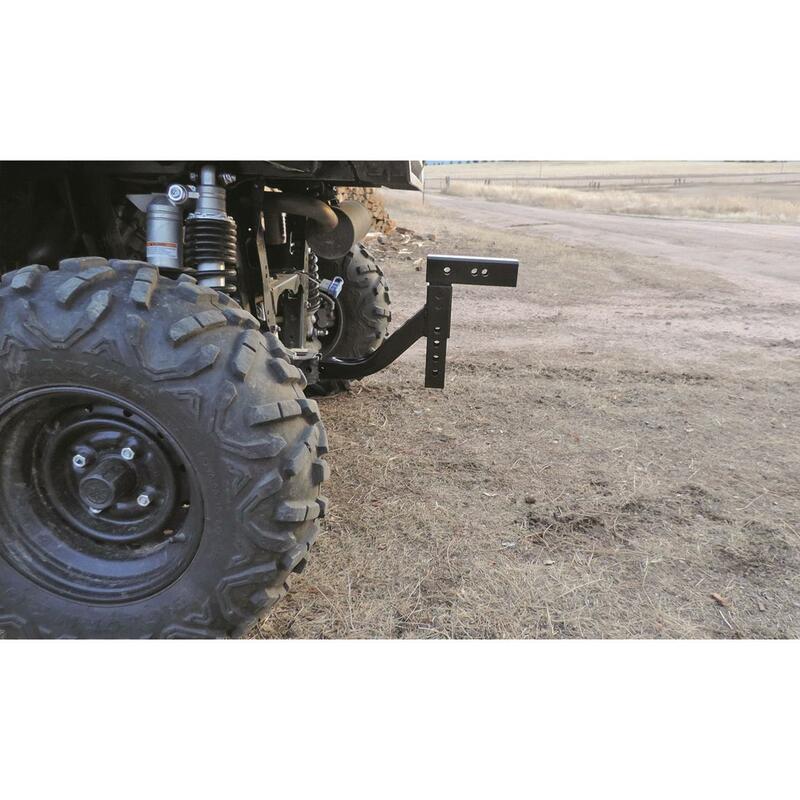 The Quick Adjust Receiver Hitch is more versatile than those made for trucks. 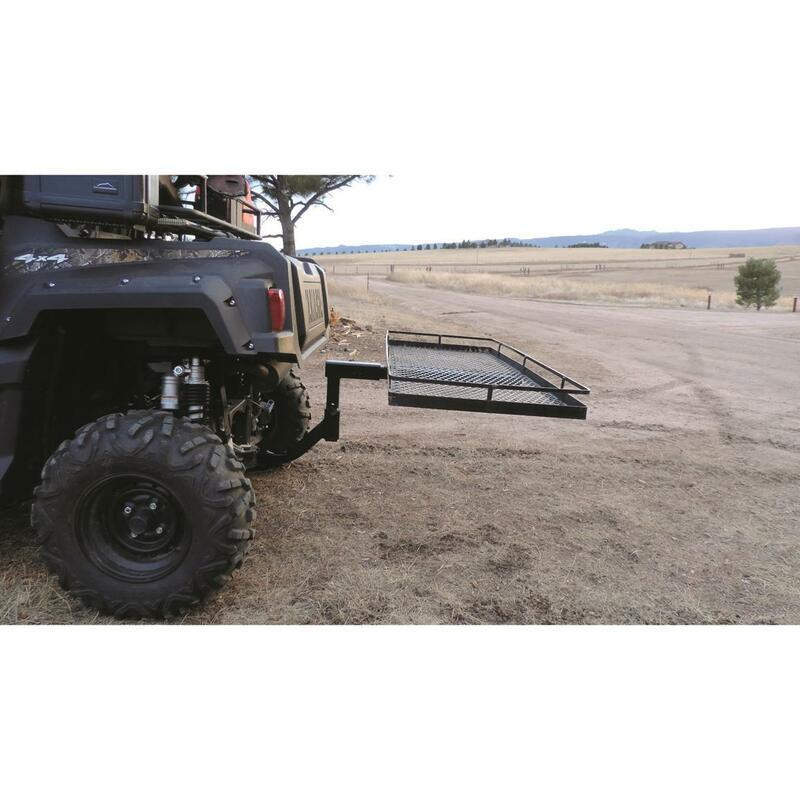 Sure, it's still dependable for hauling cargo carriers or towing, but it can really get to work with cultivators, spreaders, three-point blades, winch attachments and many other implements. Raises receiver termination points to keep the action "up"